Host the perfect dinner party with this rounded dining table. Turned detailing and a reverse diamond veneer top offer traditional style to the piece. Extend the table to 78 inches with an 18 inch removable leaf, and make room for more dinner guests. Featuring wine bottle storage and a single shelf under the table top, you'll have a versatile piece when you add it to your dining space. The Bixby Rounded Dining Table with Wine Bottle Storage by New Classic at Zak's Home in the Tri-Cities, Johnson City, Tennessee area. Product availability may vary. Contact us for the most current availability on this product. Leaves One 18" Leaf Extends Table from 60" to 78"
Create the traditional dining space you've always wanted with the Bixby dining collection. 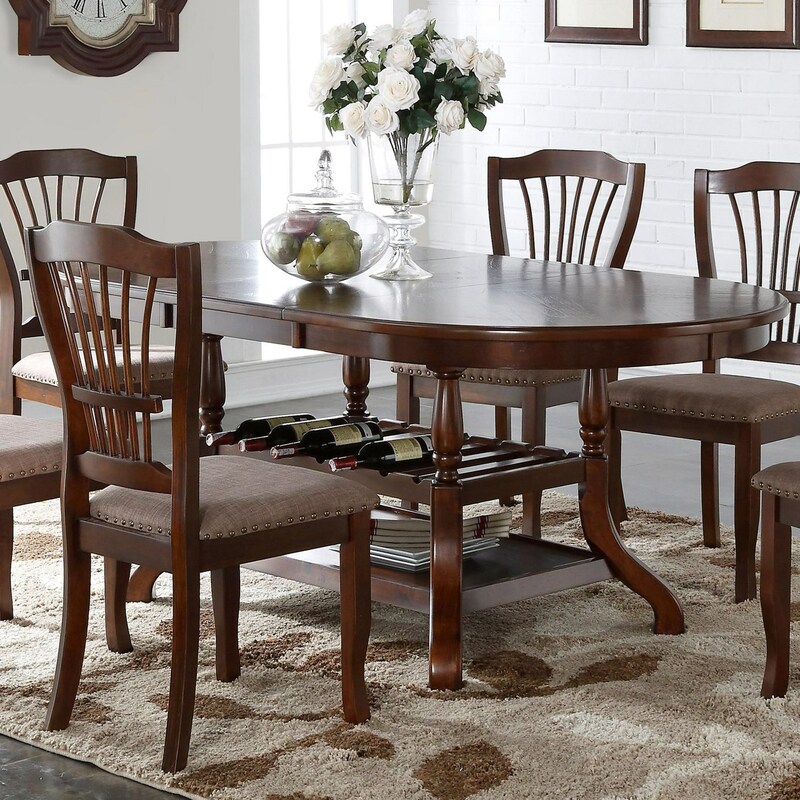 Surround your table with wheat back chairs that feature upholstered cushions with nailhead trim. Round table tops and turned detailing evokes a classic feel that you'll love, while built-in storage offers extra functionality. Wood solids and veneers have an Espresso finish. Available in standard and counter dining heights, the Bixby collection has something for everyone. 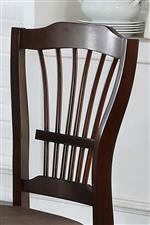 The Bixby collection is a great option if you are looking for Traditional furniture in the Tri-Cities, Johnson City, Tennessee area. Browse other items in the Bixby collection from Zak's Home in the Tri-Cities, Johnson City, Tennessee area.